Wärtsilä has signed a contract with Imetame Energia in May 2016 to supply a 28-MW natural gas power plant to UTE Prosperidade I in Brazil. The power plant will be equipped with Wärtsilä 34SG engines operating on the “Gas to Wire” concept. This means that natural gas is converted to electric power close to the remote gas fields, and transmitted to urban areas via transmission lines. Wärtsilä’s scope of supply is basic equipment supply and engineering. The value of the order is approximately EUR 10 million. Imetame Energia is a small independent Oil and Gas company that did gas field discovery in Bahia, Brazil in 2011. It is challenging to monetise gas in Brazil as the pipeline network is not yet very developed and the state controls the sale of gas concessions. Imetame Energia did not find any way to capitalise on the gas findings and considered to close the field, but were then approached by Wärtsilä. 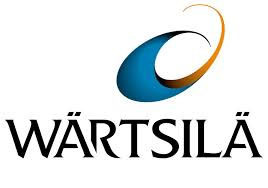 Wärtsilä suggested thermal generation as a way to monetise the gas and add value to the project through the sale of electricity. Wärtsilä’s gas-fired engines are also well positioned for operating with high performance and low cost. “A power plant based on Wärtsilä’s technology showed to be the best solution to turn the gas into money. Wärtsilä was crucial in providing technical support to project design and also elucidating Imetame in understanding this new business of power generation,” says Roberto Baptista, Director of Imetame Energia. According to Business Development Manager, Gabriel Cavados, Wärtsilä’s expertise in implementing natural gas power generation projects was essential to winning the contract. “As the client’s core business is in the oil segment, our knowledge of the natural gas market and the Brazilian power sector auction rules were key factors in closing the deal,” he says. UTE Prosperidade I is the first of three planned power plants in the rural area of Bahia. The baseload power plant will supply energy to Brazil’s national grid which will increase the availability of gas in the power system. The power plant will also benefit the community of Bahia and in developing the power generation in Brazil.